Austrian composer Franz Schubert (1797–1828) is a key figure of the Austro-German tradition, and in his short life innovated orchestral music, chamber music, piano music and, most of all, the Lied. Schubert was born in Vienna. He learnt piano and violin as a boy and began composing at a young age, later studying with Salieri. He trained as a teacher and went on to work at his father’s school. His 18th year saw a period of extraordinary creativity, with the young composer writing nearly 150 songs – including Gretchen am Spinnrade and Der Erlkönig – two string quartets, two symphonies, two masses and four Singspiele, while also working fulltime as a teacher. This rate inevitably slowed but he continued to compose prolifically for much of his life. His fame slowly grew through private performances and 1818 saw the first public performance of his music and his first publication. His songs were widely performed in Vienna by 1821 and that year he was entered into the Gesellschaft der Musikfreunde. Other works from this period include masses, part songs, piano duets and the sketches that later became the ‘Unfinished’ Symphony. 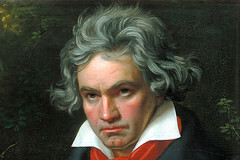 He was hospitalized in 1823 and from then until the end of his life suffered ill health, but nevertheless produced such masterpieces as the song cycles Die schöne Müllerin and Winterreise, the ‘Great’ Symphony and numerous works for solo piano, piano duet, string quartet and other chamber ensembles. Over his career he worked on nearly twenty stage compositions, although none, other than his incidental music for Rosamunde, were performed during his lifetime. Recognition of Schubert’s contribution to music was relatively limited during his lifetime and for several decades after his death, but his work was a major influence on composers including Mendelssohn, Schumann, Liszt and Brahms. 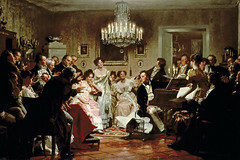 Today Schubert is celebrated as one of the most important musical figures of the 19th century. The concept album has been around longer than you might think.